Letters to LA LA Land: Why do you travel? I love traveling, anyone readying this blog might've picked up on that by now. I also love airports, there is something magical about them; loved ones being reunited; business people looking all official; chaos of the whole thing makes me nostalgic and happy. When was I was 16 I made a list of places and things I wanted to do before I turned 30; it mainly consisted of places I wanted to visit. 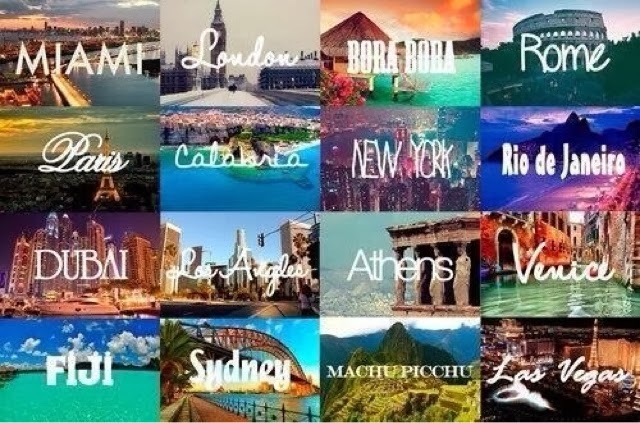 Over the years, I got to see a lot of those places and do a lot of things on my bucket list. On my 21st birthday I added few more things to the list... Today I looked at the list and realized that most important, most memorable and heartfelt moments are from my traveling adventures. Someone once said "Travel, in the younger sort, is a part of education; in the elder, a part of experience." I believe in that. Richest people aren't the ones with the most money, but one with life experiences. Smartest people aren't the ones with the best schooling but ones that have life education and have lived life to the fullest. This why I travel; to learn as much as I can & learn to appreciate everything in life. What is the most exciting place you have been? What places are on your list?